TREVOR Cecil was right on the money. 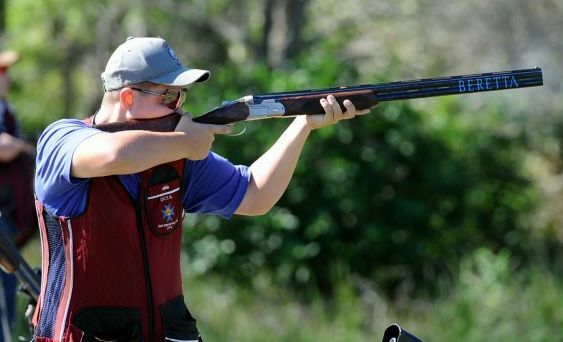 His prediction that this year's Maryborough Two Day Shoot would produce the best scores seen at the Island Plantation Rd range was as accurate as the shots fired by clay target competitors at the event. More than 50 gunslingers from across Queensland and as far south as New South Wales gave it their best shot at the weekend. Young gun Adam Bylsma lived up to his enormous potential blasting 138 targets out of 138 to win the 30 target points championship. With form like that, it's little wonder why he is the current Australian Sub-Junior Champion. But the 16-year-old wasn't the only one on fire. Five of the six shooters crowned champions at the weekend shot perfect scores, including Maryborough's Neil Berry who picked up $1000 for his win in the 25 target double barrel handicap. Berry, a runner-up at this year's Australian veterans' championship in March, capped off his weekend with the overall high guns award. Cecil, president of the Maryborough Clay Target Club, said he was blown away by the calibre of shooting on display. "It's some of the best shooting I have seen for a long while," he said. "It's always good when you see those perfect scores coming up on the board consistently as we saw over the whole weekend." Cecil also paid homage to Malcolm Zipf and Greg Matthews for setting up fast and smooth traps. "In all of the competitions, right across the board a lot of high scores shot for the weekend which always let the club knows their targets are flying well and everyone is happy because they're hitting them well," he said. "Club captain Malcolm Zipf and Greg Matthews know how to set a perfect target, or as perfect a target as you will get. "Both these guys know how to set these traps, which makes a big difference. "I reckon we would be throwing some of the best targets in Queensland at the moment."